Acura Certified, CARFAX 1-Owner, LOW MILES - 23,546! FUEL EFFICIENT 36 MPG Hwy/25 MPG City! ILX trim. Sunroof, Heated Seats, Bluetooth, iPod/MP3 Input, Alloy Wheels, Back-Up Camera. SEE MORE! This vehicle is physically located at Fresno Acura, 7250 N Palm Ave. Fresno, CA KEY FEATURES INCLUDE Sunroof, Heated Driver Seat, Back-Up Camera, iPod/MP3 Input, Bluetooth MP3 Player, Keyless Entry, Remote Trunk Release, Steering Wheel Controls, Child Safety Locks. Acura ILX with Graphite Luster Metallic exterior and Graystone interior features a 4 Cylinder Engine with 201 HP at 6800 RPM*. EXPERTS ARE SAYING Edmunds.com's review says Special care was used in designing the seats, which are supportive, yet not overly firm or confining. The ILX is also pretty spacious for a compact car, with a decent amount of backseat room.. Great Gas Mileage: 36 MPG Hwy. SHOP WITH CONFIDENCE 24-Hour Roadside Assistance, Additional 1-year/12,000-mile Non-Powertrain Warranty, Balance of original 7-year/100,000-Mile Powertrain Warranty, 182 point inspection OUR OFFERINGS Fresno Acura offers many automotive products and services to our Fresno area customers. From quality new Acura vehicles to used cars, we know anyone looking for a vehicle in Fresno will likely find what they want at our dealership. We carry a comprehensive line of Acura vehicles, making us a good choice as your Fresno Acura car dealer. Pricing analysis performed on 3/8/2019. Horsepower calculations based on trim engine configuration. Fuel economy calculations based on original manufacturer data for trim engine configuration. Please confirm the accuracy of the included equipment by calling us prior to purchase. W/Technology Plus/A-SPEC Pkg trim. Acura Certified, CARFAX 1-Owner. FUEL EFFICIENT 36 MPG Hwy/25 MPG City! NAV, Sunroof, Heated Seats, Premium Sound System, Alloy Wheels, Back-Up Camera. CLICK NOW! This vehicle is physically located at Fresno Acura, 7250 N Palm Ave. Fresno, CA KEY FEATURES INCLUDE Navigation, Sunroof, Heated Driver Seat, Back-Up Camera, Premium Sound System MP3 Player, Keyless Entry, Remote Trunk Release, Steering Wheel Controls, Child Safety Locks. Acura w/Technology Plus/A-SPEC Pkg with Bellanova White Pearl exterior and Ebony interior features a 4 Cylinder Engine with 201 HP at 6800 RPM*. EXPERTS ARE SAYING Special care was used in designing the seats, which are supportive, yet not overly firm or confining. The ILX is also pretty spacious for a compact car, with a decent amount of backseat room. -Edmunds.com. Great Gas Mileage: 36 MPG Hwy. PURCHASE WITH CONFIDENCE 24-Hour Roadside Assistance, Additional 1-year/12,000-mile Non-Powertrain Warranty, Balance of original 7-year/100,000-Mile Powertrain Warranty, 182 point inspection OUR OFFERINGS Fresno Acura offers many automotive products and services to our Fresno area customers. From quality new Acura vehicles to used cars, we know anyone looking for a vehicle in Fresno will likely find what they want at our dealership. We carry a comprehensive line of Acura vehicles, making us a good choice as your Fresno Acura car dealer. Pricing analysis performed on 3/26/2019. Horsepower calculations based on trim engine configuration. Fuel economy calculations based on original manufacturer data for trim engine configuration. Please confirm the accuracy of the included equipment by calling us prior to purchase. CARFAX 1-Owner, Acura Certified, ONLY 30,269 Miles! Catalina Blue Pearl exterior and Graystone interior. EPA 36 MPG Hwy/25 MPG City! Navigation, Moonroof, Heated Seats, Premium Sound System, Aluminum Wheels, Back-Up Camera AND MORE! This vehicle is physically located at Fresno Acura, 7250 N Palm Ave. Fresno, CA KEY FEATURES INCLUDE Navigation, Sunroof, Heated Driver Seat, Back-Up Camera, Premium Sound System MP3 Player, Keyless Entry, Remote Trunk Release, Steering Wheel Controls, Child Safety Locks. Acura w/Technology Plus Pkg with Catalina Blue Pearl exterior and Graystone interior features a 4 Cylinder Engine with 201 HP at 6800 RPM*. VEHICLE REVIEWS Edmunds.com explains Special care was used in designing the seats, which are supportive, yet not overly firm or confining. The ILX is also pretty spacious for a compact car, with a decent amount of backseat room.. Great Gas Mileage: 36 MPG Hwy. BUY WITH CONFIDENCE 24-Hour Roadside Assistance, Additional 1-year/12,000-mile Non-Powertrain Warranty, Balance of original 7-year/100,000-Mile Powertrain Warranty, 182 point inspection VISIT US TODAY Fresno Acura offers many automotive products and services to our Fresno area customers. From quality new Acura vehicles to used cars, we know anyone looking for a vehicle in Fresno will likely find what they want at our dealership. We carry a comprehensive line of Acura vehicles, making us a good choice as your Fresno Acura car dealer. Pricing analysis performed on 4/9/2019. Horsepower calculations based on trim engine configuration. Fuel economy calculations based on original manufacturer data for trim engine configuration. Please confirm the accuracy of the included equipment by calling us prior to purchase. Acura Certified, CARFAX 1-Owner, GREAT MILES 25,159! V6 trim. FUEL EFFICIENT 34 MPG Hwy/21 MPG City! Sunroof, Heated Seats, iPod/MP3 Input, Satellite Radio, Alloy Wheels, Back-Up Camera. AND MORE! This vehicle is physically located at Fresno Acura, 7250 N Palm Ave. Fresno, CA KEY FEATURES INCLUDE Sunroof, Heated Driver Seat, Back-Up Camera, Satellite Radio, iPod/MP3 Input MP3 Player, Keyless Entry, Remote Trunk Release, Steering Wheel Controls, Child Safety Locks. Acura V6 with Graphite Luster Metallic exterior and Graystone interior features a V6 Cylinder Engine with 290 HP at 6200 RPM*. EXPERTS RAVE Edmunds.com explains Whichever engine you choose, you'll enjoy the TLX's comfortable and discernibly premium ride. there's little wind or tire roar to interfere with conversations or music. There's also respectable handling prowess on tap. . Great Gas Mileage: 34 MPG Hwy. PURCHASE WITH CONFIDENCE 24-Hour Roadside Assistance, Additional 1-year/12,000-mile Non-Powertrain Warranty, Balance of original 7-year/100,000-Mile Powertrain Warranty, 182 point inspection MORE ABOUT US Fresno Acura offers many automotive products and services to our Fresno area customers. From quality new Acura vehicles to used cars, we know anyone looking for a vehicle in Fresno will likely find what they want at our dealership. We carry a comprehensive line of Acura vehicles, making us a good choice as your Fresno Acura car dealer. Pricing analysis performed on 4/4/2019. Horsepower calculations based on trim engine configuration. Fuel economy calculations based on original manufacturer data for trim engine configuration. Please confirm the accuracy of the included equipment by calling us prior to purchase. RDX trim, Kona Coffee Metallic exterior and Parchment interior. CARFAX 1-Owner, ONLY 22,582 Miles! FUEL EFFICIENT 29 MPG Hwy/20 MPG City! Heated Seats, Sunroof, Satellite Radio, Back-Up Camera, Alloy Wheels, Power Liftgate SEE MORE! This vehicle is physically located at Fresno Acura, 7250 N Palm Ave. Fresno, CA KEY FEATURES INCLUDE Sunroof, Power Liftgate, Heated Driver Seat, Back-Up Camera, Satellite Radio. Rear Spoiler, MP3 Player, Keyless Entry, Remote Trunk Release, Privacy Glass. Acura RDX with Kona Coffee Metallic exterior and Parchment interior features a V6 Cylinder Engine with 279 HP at 6200 RPM*. EXPERTS ARE SAYING Ample power, strong fuel economy and outstanding rear legroom make the 2016 Acura RDX a solid choice for a premium small crossover. -Edmunds.com. Great Gas Mileage: 29 MPG Hwy. OUR OFFERINGS Fresno Acura offers many automotive products and services to our Fresno area customers. From quality new Acura vehicles to used cars, we know anyone looking for a vehicle in Fresno will likely find what they want at our dealership. We carry a comprehensive line of Acura vehicles, making us a good choice as your Fresno Acura car dealer. Pricing analysis performed on 4/12/2019. Horsepower calculations based on trim engine configuration. Fuel economy calculations based on original manufacturer data for trim engine configuration. Please confirm the accuracy of the included equipment by calling us prior to purchase. FUEL EFFICIENT 29 MPG Hwy/20 MPG City! Tech/AcuraWatch Plus Pkg trim. CARFAX 1-Owner, LOW MILES - 40,000! NAV, Sunroof, Heated Seats, Back-Up Camera, Alloy Wheels, Power Liftgate. CLICK ME! This vehicle is physically located at Fresno Acura, 7250 N Palm Ave. Fresno, CA KEY FEATURES INCLUDE Navigation, Sunroof, Power Liftgate, Heated Driver Seat, Back-Up Camera. Rear Spoiler, MP3 Player, Keyless Entry, Remote Trunk Release, Privacy Glass. Acura Tech/AcuraWatch Plus Pkg with Graphite Luster Metallic exterior and Ebony interior features a V6 Cylinder Engine with 279 HP at 6200 RPM*. EXPERTS CONCLUDE Edmunds.com's review says Ample power, strong fuel economy and outstanding rear legroom make the 2016 Acura RDX a solid choice for a premium small crossover.. Great Gas Mileage: 29 MPG Hwy. 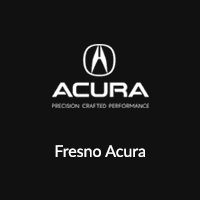 OUR OFFERINGS Fresno Acura offers many automotive products and services to our Fresno area customers. From quality new Acura vehicles to used cars, we know anyone looking for a vehicle in Fresno will likely find what they want at our dealership. We carry a comprehensive line of Acura vehicles, making us a good choice as your Fresno Acura car dealer. Pricing analysis performed on 4/9/2019. Horsepower calculations based on trim engine configuration. Fuel economy calculations based on original manufacturer data for trim engine configuration. Please confirm the accuracy of the included equipment by calling us prior to purchase. White Diamond Pearl exterior and Parchment interior. Acura Certified, CARFAX 1-Owner, LOW MILES - 29,289! FUEL EFFICIENT 29 MPG Hwy/20 MPG City! Sunroof, Heated Seats, Satellite Radio, Back-Up Camera, Alloy Wheels, Power Liftgate READ MORE! This vehicle is physically located at Fresno Acura, 7250 N Palm Ave. Fresno, CA KEY FEATURES INCLUDE Sunroof, Power Liftgate, Heated Driver Seat, Back-Up Camera, Satellite Radio. Rear Spoiler, MP3 Player, Keyless Entry, Remote Trunk Release, Privacy Glass. Acura RDX with White Diamond Pearl exterior and Parchment interior features a V6 Cylinder Engine with 279 HP at 6200 RPM*. EXPERTS REPORT Ample power, strong fuel economy and outstanding rear legroom make the 2016 Acura RDX a solid choice for a premium small crossover. -Edmunds.com. Great Gas Mileage: 29 MPG Hwy. BUY WITH CONFIDENCE 24-Hour Roadside Assistance, Additional 1-year/12,000-mile Non-Powertrain Warranty, Balance of original 7-year/100,000-Mile Powertrain Warranty, 182 point inspection MORE ABOUT US Fresno Acura offers many automotive products and services to our Fresno area customers. From quality new Acura vehicles to used cars, we know anyone looking for a vehicle in Fresno will likely find what they want at our dealership. We carry a comprehensive line of Acura vehicles, making us a good choice as your Fresno Acura car dealer. Pricing analysis performed on 3/26/2019. Horsepower calculations based on trim engine configuration. Fuel economy calculations based on original manufacturer data for trim engine configuration. Please confirm the accuracy of the included equipment by calling us prior to purchase. W/Technology Pkg trim. CARFAX 1-Owner, Acura Certified, LOW MILES - 15,500! FUEL EFFICIENT 33 MPG Hwy/23 MPG City! Nav System, Moonroof, Heated Leather Seats, Back-Up Camera, Aluminum Wheels. CLICK ME! This vehicle is physically located at Fresno Acura, 7250 N Palm Ave. Fresno, CA KEY FEATURES INCLUDE Leather Seats, Navigation, Sunroof, Heated Driver Seat, Back-Up Camera MP3 Player, Remote Trunk Release, Keyless Entry, Child Safety Locks, Steering Wheel Controls. Acura w/Technology Pkg with Crystal Black Pearl exterior and Parchment interior features a 4 Cylinder Engine with 206 HP at 6800 RPM*. VEHICLE REVIEWS KBB.com's review says The new TLX is one of the smartest investments in the segment, thanks to its mix of performance, technology and resale value. It also finally has the good looks that show off all the pluses that this car has to offer.. Great Gas Mileage: 33 MPG Hwy. PURCHASE WITH CONFIDENCE 24-Hour Roadside Assistance, Additional 1-year/12,000-mile Non-Powertrain Warranty, Balance of original 7-year/100,000-Mile Powertrain Warranty, 182 point inspection BUY FROM AN AWARD WINNING DEALER Fresno Acura offers many automotive products and services to our Fresno area customers. From quality new Acura vehicles to used cars, we know anyone looking for a vehicle in Fresno will likely find what they want at our dealership. We carry a comprehensive line of Acura vehicles, making us a good choice as your Fresno Acura car dealer. Pricing analysis performed on 3/28/2019. Horsepower calculations based on trim engine configuration. Fuel economy calculations based on original manufacturer data for trim engine configuration. Please confirm the accuracy of the included equipment by calling us prior to purchase. FUEL EFFICIENT 33 MPG Hwy/23 MPG City! Modern Steel Metallic exterior and Graystone interior. CARFAX 1-Owner, Acura Certified, GREAT MILES 14,000! Navigation, Sunroof, Heated Leather Seats, Alloy Wheels, Back-Up Camera. SEE MORE! This vehicle is physically located at Fresno Acura, 7250 N Palm Ave. Fresno, CA KEY FEATURES INCLUDE Leather Seats, Navigation, Sunroof, Heated Driver Seat, Back-Up Camera. MP3 Player, Remote Trunk Release, Keyless Entry, Child Safety Locks, Steering Wheel Controls. Acura w/Technology Pkg with Modern Steel Metallic exterior and Graystone interior features a 4 Cylinder Engine with 206 HP at 6800 RPM*. VEHICLE REVIEWS KBB.com explains The new TLX is one of the smartest investments in the segment, thanks to its mix of performance, technology and resale value. It also finally has the good looks that show off all the pluses that this car has to offer.. Great Gas Mileage: 33 MPG Hwy. BUY WITH CONFIDENCE 24-Hour Roadside Assistance, Additional 1-year/12,000-mile Non-Powertrain Warranty, Balance of original 7-year/100,000-Mile Powertrain Warranty, 182 point inspection OUR OFFERINGS Fresno Acura offers many automotive products and services to our Fresno area customers. From quality new Acura vehicles to used cars, we know anyone looking for a vehicle in Fresno will likely find what they want at our dealership. We carry a comprehensive line of Acura vehicles, making us a good choice as your Fresno Acura car dealer. Pricing analysis performed on 4/12/2019. Horsepower calculations based on trim engine configuration. Fuel economy calculations based on original manufacturer data for trim engine configuration. Please confirm the accuracy of the included equipment by calling us prior to purchase. Acura Certified, GREAT MILES 24,712! EPA 28 MPG Hwy/20 MPG City! RDX trim, Lunar Silver Metallic exterior and Ebony interior. Moonroof, Heated Seats, Satellite Radio, Back-Up Camera, Aluminum Wheels, Power Liftgate. CLICK ME! This vehicle is physically located at Fresno Acura, 7250 N Palm Ave. Fresno, CA KEY FEATURES INCLUDE Sunroof, Power Liftgate, Heated Driver Seat, Back-Up Camera, Satellite Radio Rear Spoiler, MP3 Player, Keyless Entry, Remote Trunk Release, Privacy Glass. Acura RDX with Lunar Silver Metallic exterior and Ebony interior features a V6 Cylinder Engine with 279 HP at 6200 RPM*. VEHICLE REVIEWS Edmunds.com explains Its steering feels light but precise, and overall handling is composed and secure when driving through turns. On the open highway, the RDX boasts low levels of road and wind noise, with an impressively comfortable ride.. Great Gas Mileage: 28 MPG Hwy. BUY WITH CONFIDENCE 24-Hour Roadside Assistance, Additional 1-year/12,000-mile Non-Powertrain Warranty, Balance of original 7-year/100,000-Mile Powertrain Warranty, 182 point inspection VISIT US TODAY Fresno Acura offers many automotive products and services to our Fresno area customers. From quality new Acura vehicles to used cars, we know anyone looking for a vehicle in Fresno will likely find what they want at our dealership. We carry a comprehensive line of Acura vehicles, making us a good choice as your Fresno Acura car dealer. Pricing analysis performed on 4/9/2019. Horsepower calculations based on trim engine configuration. Fuel economy calculations based on original manufacturer data for trim engine configuration. Please confirm the accuracy of the included equipment by calling us prior to purchase. REDUCED FROM $31,938!, EPA 28 MPG Hwy/20 MPG City! CARFAX 1-Owner, Acura Certified, ONLY 29,000 Miles! RDX trim. Heated Seats, Sunroof, Satellite Radio, Back-Up Camera, Alloy Wheels, Power Liftgate. SEE MORE! This vehicle is physically located at Fresno Acura, 7250 N Palm Ave. Fresno, CA KEY FEATURES INCLUDE Sunroof, Power Liftgate, Heated Driver Seat, Back-Up Camera, Satellite Radio Rear Spoiler, MP3 Player, Keyless Entry, Remote Trunk Release, Privacy Glass. Acura RDX with White Diamond Pearl exterior and Parchment interior features a V6 Cylinder Engine with 279 HP at 6200 RPM*. EXPERTS REPORT Edmunds.com explains Its steering feels light but precise, and overall handling is composed and secure when driving through turns. On the open highway, the RDX boasts low levels of road and wind noise, with an impressively comfortable ride.. Great Gas Mileage: 28 MPG Hwy. A GREAT VALUE Was $31,938. PURCHASE WITH CONFIDENCE 24-Hour Roadside Assistance, Additional 1-year/12,000-mile Non-Powertrain Warranty, Balance of original 7-year/100,000-Mile Powertrain Warranty, 182 point inspection OUR OFFERINGS Fresno Acura offers many automotive products and services to our Fresno area customers. From quality new Acura vehicles to used cars, we know anyone looking for a vehicle in Fresno will likely find what they want at our dealership. We carry a comprehensive line of Acura vehicles, making us a good choice as your Fresno Acura car dealer. Pricing analysis performed on 3/14/2019. Horsepower calculations based on trim engine configuration. Fuel economy calculations based on original manufacturer data for trim engine configuration. Please confirm the accuracy of the included equipment by calling us prior to purchase. CARFAX 1-Owner, Acura Certified, LOW MILES - 16,338! w/Technology Pkg trim. REDUCED FROM $35,080!, FUEL EFFICIENT 32 MPG Hwy/20 MPG City!, $200 below Kelley Blue Book! NAV, Sunroof, Heated/Cooled Leather Seats, Alloy Wheels READ MORE! This vehicle is physically located at Fresno Acura, 7250 N Palm Ave. Fresno, CA KEY FEATURES INCLUDE Leather Seats, Navigation, Sunroof, Heated Driver Seat, Cooled Driver Seat. Rear Spoiler, MP3 Player, Remote Trunk Release, Keyless Entry, Child Safety Locks. Acura w/Technology Pkg with Crystal Black Pearl exterior and Parchment interior features a V6 Cylinder Engine with 290 HP at 6200 RPM*. EXPERTS ARE SAYING The new TLX is one of the smartest investments in the segment, thanks to its mix of performance, technology and resale value. It also finally has the good looks that show off all the pluses that this car has to offer. -KBB.com. Great Gas Mileage: 32 MPG Hwy. AFFORDABLE TO OWN Was $35,080. This TLX is priced $200 below Kelley Blue Book. PURCHASE WITH CONFIDENCE 24-Hour Roadside Assistance, Additional 1-year/12,000-mile Non-Powertrain Warranty, Balance of original 7-year/100,000-Mile Powertrain Warranty, 182 point inspection BUY FROM AN AWARD WINNING DEALER Fresno Acura offers many automotive products and services to our Fresno area customers. From quality new Acura vehicles to used cars, we know anyone looking for a vehicle in Fresno will likely find what they want at our dealership. We carry a comprehensive line of Acura vehicles, making us a good choice as your Fresno Acura car dealer. Pricing analysis performed on 3/22/2019. Horsepower calculations based on trim engine configuration. Fuel economy calculations based on original manufacturer data for trim engine configuration. Please confirm the accuracy of the included equipment by calling us prior to purchase. EPA 27 MPG Hwy/19 MPG City! CARFAX 1-Owner, Acura Certified. w/Advance Pkg trim, Lunar Silver Metallic exterior and Graystone interior. Nav System, Moonroof, Heated Leather Seats, Power Liftgate, Aluminum Wheels, All Wheel Drive. SEE MORE! This vehicle is physically located at Fresno Acura, 7250 N Palm Ave. Fresno, CA KEY FEATURES INCLUDE Leather Seats, Navigation, Sunroof, All Wheel Drive, Power Liftgate Rear Spoiler, MP3 Player, Remote Trunk Release, Keyless Entry, Privacy Glass. Acura w/Advance Pkg with Lunar Silver Metallic exterior and Graystone interior features a V6 Cylinder Engine with 279 HP at 6200 RPM*. EXPERTS ARE SAYING Edmunds.com explains Its steering feels light but precise, and overall handling is composed and secure when driving through turns. On the open highway, the RDX boasts low levels of road and wind noise, with an impressively comfortable ride.. Great Gas Mileage: 27 MPG Hwy. PURCHASE WITH CONFIDENCE 24-Hour Roadside Assistance, Additional 1-year/12,000-mile Non-Powertrain Warranty, Balance of original 7-year/100,000-Mile Powertrain Warranty, 182 point inspection OUR OFFERINGS Fresno Acura offers many automotive products and services to our Fresno area customers. From quality new Acura vehicles to used cars, we know anyone looking for a vehicle in Fresno will likely find what they want at our dealership. We carry a comprehensive line of Acura vehicles, making us a good choice as your Fresno Acura car dealer. Pricing analysis performed on 4/9/2019. Horsepower calculations based on trim engine configuration. Fuel economy calculations based on original manufacturer data for trim engine configuration. Please confirm the accuracy of the included equipment by calling us prior to purchase. Acura Certified. MDX trim, Modern Steel Metallic exterior and Graystone interior. EPA 27 MPG Hwy/19 MPG City! Moonroof, Third Row Seat, Heated Leather Seats, Rear Air, Aluminum Wheels, Power Liftgate. AND MORE! This vehicle is physically located at Fresno Acura, 7250 N Palm Ave. Fresno, CA KEY FEATURES INCLUDE Leather Seats, Third Row Seat, Sunroof, Power Liftgate, Rear Air Rear Spoiler, MP3 Player, Keyless Entry, Remote Trunk Release, Privacy Glass. Acura MDX with Modern Steel Metallic exterior and Graystone interior features a V6 Cylinder Engine with 290 HP at 6200 RPM*. EXPERTS RAVE The MDX's V6 is a smooth-revving engine with a surprisingly nice snarl when you bury your foot in the accelerator. -Edmunds.com. Great Gas Mileage: 27 MPG Hwy. BUY WITH CONFIDENCE 24-Hour Roadside Assistance, Additional 1-year/12,000-mile Non-Powertrain Warranty, Balance of original 7-year/100,000-Mile Powertrain Warranty, 182 point inspection BUY FROM AN AWARD WINNING DEALER Fresno Acura offers many automotive products and services to our Fresno area customers. From quality new Acura vehicles to used cars, we know anyone looking for a vehicle in Fresno will likely find what they want at our dealership. We carry a comprehensive line of Acura vehicles, making us a good choice as your Fresno Acura car dealer. Pricing analysis performed on 2/26/2019. Horsepower calculations based on trim engine configuration. Fuel economy calculations based on original manufacturer data for trim engine configuration. Please confirm the accuracy of the included equipment by calling us prior to purchase. CARFAX 1-Owner, Acura Certified, GREAT MILES 26,107! REDUCED FROM $40,035!, $600 below Kelley Blue Book!, EPA 26 MPG Hwy/18 MPG City! Moonroof, Third Row Seat, Heated Leather Seats, Aluminum Wheels, Power Liftgate, All Wheel Drive SEE MORE! This vehicle is physically located at Fresno Acura, 7250 N Palm Ave. Fresno, CA KEY FEATURES INCLUDE Leather Seats, Third Row Seat, Sunroof, All Wheel Drive, Power Liftgate Rear Spoiler, MP3 Player, Keyless Entry, Privacy Glass, Remote Trunk Release. Acura MDX with White Diamond Pearl exterior and Parchment interior features a V6 Cylinder Engine with 290 HP at 6200 RPM*. EXPERTS CONCLUDE Edmunds.com explains The MDX's V6 is a smooth-revving engine with a surprisingly nice snarl when you bury your foot in the accelerator.. Great Gas Mileage: 26 MPG Hwy. A GREAT VALUE Was $40,035. This MDX is priced $600 below Kelley Blue Book. SHOP WITH CONFIDENCE 24-Hour Roadside Assistance, Additional 1-year/12,000-mile Non-Powertrain Warranty, Balance of original 7-year/100,000-Mile Powertrain Warranty, 182 point inspection WHY BUY FROM US Fresno Acura offers many automotive products and services to our Fresno area customers. From quality new Acura vehicles to used cars, we know anyone looking for a vehicle in Fresno will likely find what they want at our dealership. We carry a comprehensive line of Acura vehicles, making us a good choice as your Fresno Acura car dealer. Pricing analysis performed on 3/21/2019. Horsepower calculations based on trim engine configuration. Fuel economy calculations based on original manufacturer data for trim engine configuration. Please confirm the accuracy of the included equipment by calling us prior to purchase. CARFAX 1-Owner, LOW MILES - 7,500! w/Technology Pkg trim, Modern Steel Metallic exterior and Graystone interior. EPA 26 MPG Hwy/18 MPG City! Sunroof, NAV, Heated Leather Seats, 3rd Row Seat, All Wheel Drive, Alloy Wheels SEE MORE! This vehicle is physically located at Fresno Acura, 7250 N Palm Ave. Fresno, CA KEY FEATURES INCLUDE Leather Seats, Third Row Seat, Navigation, Sunroof, All Wheel Drive. Rear Spoiler, MP3 Player, Remote Trunk Release, Privacy Glass, Keyless Entry. Acura w/Technology Pkg with Modern Steel Metallic exterior and Graystone interior features a V6 Cylinder Engine with 290 HP at 6200 RPM*. EXPERTS ARE SAYING If you're looking for a family-friendly 3-row SUV with strong performance, the highest safety ratings and a luxurious interior packed with technology, you'll like the 2018 Acura MDX. -KBB.com. Great Gas Mileage: 26 MPG Hwy. VISIT US TODAY Fresno Acura offers many automotive products and services to our Fresno area customers. From quality new Acura vehicles to used cars, we know anyone looking for a vehicle in Fresno will likely find what they want at our dealership. We carry a comprehensive line of Acura vehicles, making us a good choice as your Fresno Acura car dealer. Pricing analysis performed on 3/13/2019. Horsepower calculations based on trim engine configuration. Fuel economy calculations based on original manufacturer data for trim engine configuration. Please confirm the accuracy of the included equipment by calling us prior to purchase. Acura Certified, CARFAX 1-Owner, LOW MILES - 12,676! EPA 26 MPG Hwy/18 MPG City! White Diamond Pearl exterior and Ebony interior. Sunroof, NAV, 3rd Row Seat, Heated Leather Seats, DVD, Alloy Wheels, All Wheel Drive. READ MORE! This vehicle is physically located at Fresno Acura, 7250 N Palm Ave. Fresno, CA KEY FEATURES INCLUDE Leather Seats, Third Row Seat, Navigation, DVD, Sunroof Rear Spoiler, MP3 Player, Rear Seat Audio Controls, Keyless Entry, Remote Trunk Release. Acura w/Technology/Entertainment Pkg with White Diamond Pearl exterior and Ebony interior features a V6 Cylinder Engine with 290 HP at 6200 RPM*. EXPERTS RAVE KBB.com explains If you're looking for a family-friendly 3-row SUV with strong performance, the highest safety ratings and a luxurious interior packed with technology, you'll like the 2018 Acura MDX.. Great Gas Mileage: 26 MPG Hwy. BUY WITH CONFIDENCE 24-Hour Roadside Assistance, Additional 1-year/12,000-mile Non-Powertrain Warranty, Balance of original 7-year/100,000-Mile Powertrain Warranty, 182 point inspection OUR OFFERINGS Fresno Acura offers many automotive products and services to our Fresno area customers. From quality new Acura vehicles to used cars, we know anyone looking for a vehicle in Fresno will likely find what they want at our dealership. We carry a comprehensive line of Acura vehicles, making us a good choice as your Fresno Acura car dealer. Pricing analysis performed on 3/13/2019. Horsepower calculations based on trim engine configuration. Fuel economy calculations based on original manufacturer data for trim engine configuration. Please confirm the accuracy of the included equipment by calling us prior to purchase. Acura Certified. FUEL EFFICIENT 27 MPG Hwy/21 MPG City! w/Advance Pkg trim. Nav System, Moonroof, Heated Leather Seats, Panoramic Roof, All Wheel Drive, Aluminum Wheels, Turbo Charged Engine. CLICK NOW! This vehicle is physically located at Fresno Acura, 7250 N Palm Ave. Fresno, CA KEY FEATURES INCLUDE Leather Seats, Navigation, Sunroof, Panoramic Roof, All Wheel Drive. Rear Spoiler, MP3 Player, Remote Trunk Release, Keyless Entry, Privacy Glass. Acura w/Advance Pkg with Majestic Black Pearl exterior and Ebony interior features a 4 Cylinder Engine with 272 HP at 6500 RPM*. VEHICLE REVIEWS Great Gas Mileage: 27 MPG Hwy. BUY WITH CONFIDENCE 24-Hour Roadside Assistance, Additional 1-year/12,000-mile Non-Powertrain Warranty, Balance of original 7-year/100,000-Mile Powertrain Warranty, 182 point inspection VISIT US TODAY Fresno Acura offers many automotive products and services to our Fresno area customers. From quality new Acura vehicles to used cars, we know anyone looking for a vehicle in Fresno will likely find what they want at our dealership. We carry a comprehensive line of Acura vehicles, making us a good choice as your Fresno Acura car dealer. Horsepower calculations based on trim engine configuration. Fuel economy calculations based on original manufacturer data for trim engine configuration. Please confirm the accuracy of the included equipment by calling us prior to purchase. EPA 27 MPG Hwy/21 MPG City! w/Advance Pkg trim. CARFAX 1-Owner, Acura Certified, ONLY 2,629 Miles! NAV, Sunroof, Heated Leather Seats, Panoramic Roof, All Wheel Drive, Alloy Wheels, Turbo. SEE MORE! This vehicle is physically located at Fresno Acura, 7250 N Palm Ave. Fresno, CA KEY FEATURES INCLUDE Leather Seats, Navigation, Sunroof, Panoramic Roof, All Wheel Drive Rear Spoiler, MP3 Player, Remote Trunk Release, Keyless Entry, Privacy Glass. Acura w/Advance Pkg with Performance Red Pearl exterior and Parchment interior features a 4 Cylinder Engine with 272 HP at 6500 RPM*. VEHICLE REVIEWS Great Gas Mileage: 27 MPG Hwy. BUY WITH CONFIDENCE 24-Hour Roadside Assistance, Additional 1-year/12,000-mile Non-Powertrain Warranty, Balance of original 7-year/100,000-Mile Powertrain Warranty, 182 point inspection VISIT US TODAY Fresno Acura offers many automotive products and services to our Fresno area customers. From quality new Acura vehicles to used cars, we know anyone looking for a vehicle in Fresno will likely find what they want at our dealership. We carry a comprehensive line of Acura vehicles, making us a good choice as your Fresno Acura car dealer. Horsepower calculations based on trim engine configuration. Fuel economy calculations based on original manufacturer data for trim engine configuration. Please confirm the accuracy of the included equipment by calling us prior to purchase. Enjoy a discounted price on previous model year Acura vehicles with our 23 Certified Pre-Owned Acura vehicles for sale in Fresno. Step inside a luxurious Acura RDX, or get the latest in modern features with a certified pre-owned Acura MDX with Technology Package. Find the certified pre-owned Acura for you from the comfort of your couch with our online inventory. Have questions about these certified pre-owned Acura benefits or any of the vehicles in our certified pre-owned inventory? Get in touch with us today to talk more about our CPO Acura vehicles today!